I cannot contain my enthusiasm... I got myself a NEW Lens for my Nikon DSLR camera! I honestly feel like a kid in a candy store who just got the biggest bag of candies possible. I was lucky that my parents had the Nikon DSLR D3100 with the 18-55mm standard lens. So when I started Pink Tea Latte, I had a great camera to take my all my pictures with. That is where my interest for photography stemmed from. I came to appreciate the quality in pictures taken with manual settings versus on automatic. As well, to really take advantage of natural light because flash in my opinion can completely ruin a photograph! As I became more comfortable with my Nikon on manual settings and learned more ways to improve the quality in my images, it was time to get a new lens! The 18-55mm is a FABULOUS lens, there is no doubt about it. However, every lens has its pros and cons. It had a great zoom range and was easy to use, but I wanted a lens that gave me more depth and took in more light. After much research and discussions with my friends, I settled on the Nikkor 50mm 1.8G lens. It has only been three days since I purchased it, so I am still learning how to use it, but I am loving it so far! It makes my pictures extremely bright and gives great colour indoors. When I took images inside on a darker day with my 18-55mm lens, the pictures were almost lifeless. Haha I do not know how to explain it, but they were missing a sort of oomph! Taken using my NEW Nikkor 50mm lens. 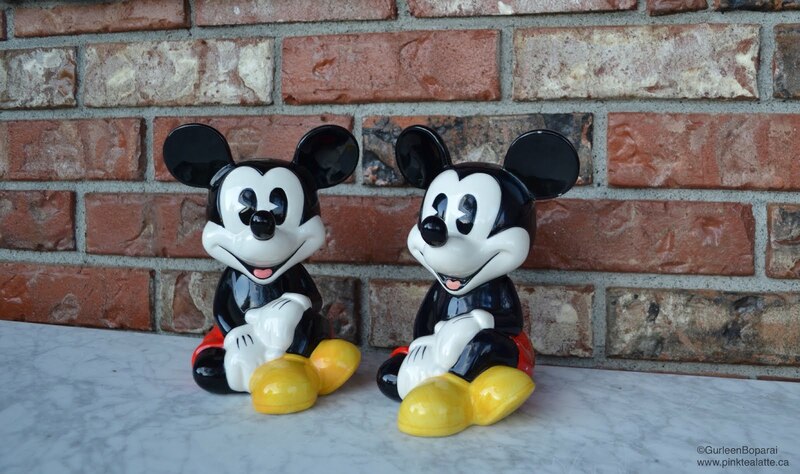 Notice how the second Mickey is out of focus? This is the depth of field!As well the colours are much more brighter! 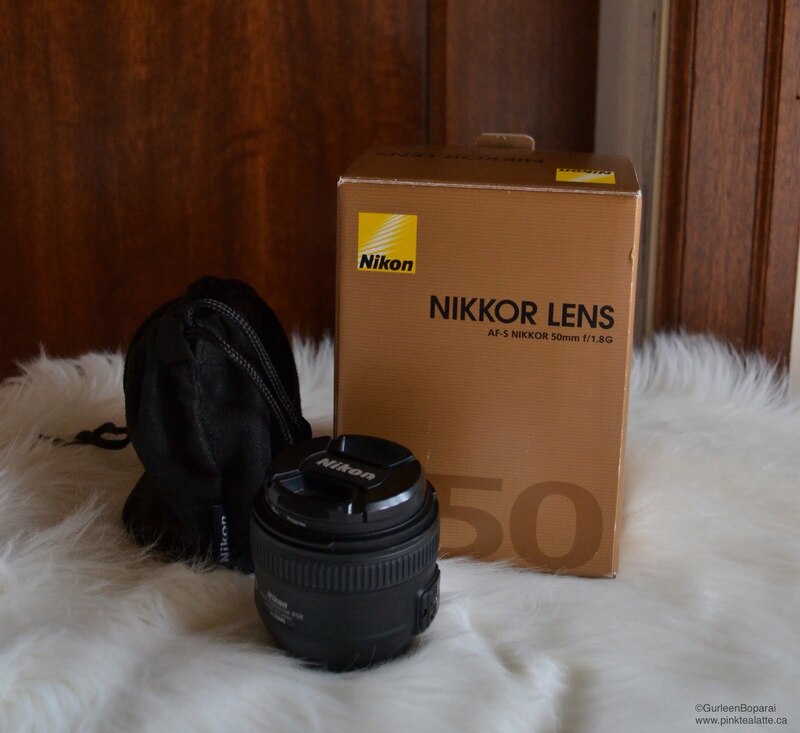 I got quite lucky with my lens and found an individual selling his pre-loved 50mm lens for $150! That is an absolute steal considering in store with taxes the lens ends up being over $250. The seller rarely used the lens and bought it on a whim later realizing he loves his long range zoom lenses far more. As well, he was so kind and included the filter ($100 retail) with the lens. He also gave me a few pointers on how to improve my picture quality. I feel extremely lucky to have walked away with a great Craigslist experience. However, do be cautious when purchasing lens secondhand, especially off of websites like craigslist. I actually had gone into Broadway Cameras the week before and a sales representative walked me through all the things to look for when buy a lens secondhand. Carefully inspect the glass of the lens to ensure there are no scratches. A scratched lens is no god. There is a little toggle on the lens that you can move to open and close the lens. Make sure all of the plates are moving and nothing funny is occurring. Turn the shutter speed to very slow and wave the camera infant of a white surface. If the image is not all white i.e. black specs, then there are markings on the lenses surface. Do not be afraid to ask the seller questions like when the lens was purchases, where it was purchased from, how it was used, how much usage and the most IMPORTANT question is DID THEY EVER DROP THE LENS! Use your best judgement since many people may just lie to get the sale. So get a feel for their answers and if something seems a little fishy or your gut is telling you no, then you should find a different seller. Another great thing is to bring a friend who knows a thing or two about cameras and lenses so they too can give you their opinion on the lens! Taken with my 18-55mm lens. 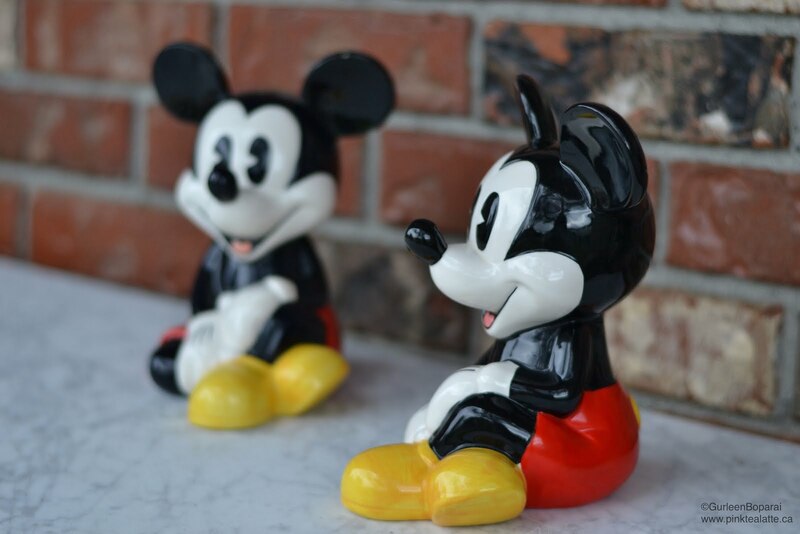 Notice how both Mickey's are in focus. The colours are a little darker. Overall, I am really happy with my new lens! The 18-55mm is generally the starting point from where people branch off into one of two directions with lenses, either a zoom lens or a macro lens (my 50mm!). I am looking forward to playing around with it and taking some cool pictures for you all! To see the difference between the two lenses, look at the Mickey Mouse pictures. If you follow me on instagram you already know that I purchased a second Mickey Mouse coin bank to give to a friend as it matches my childhood one. A great Etsy find hehe! 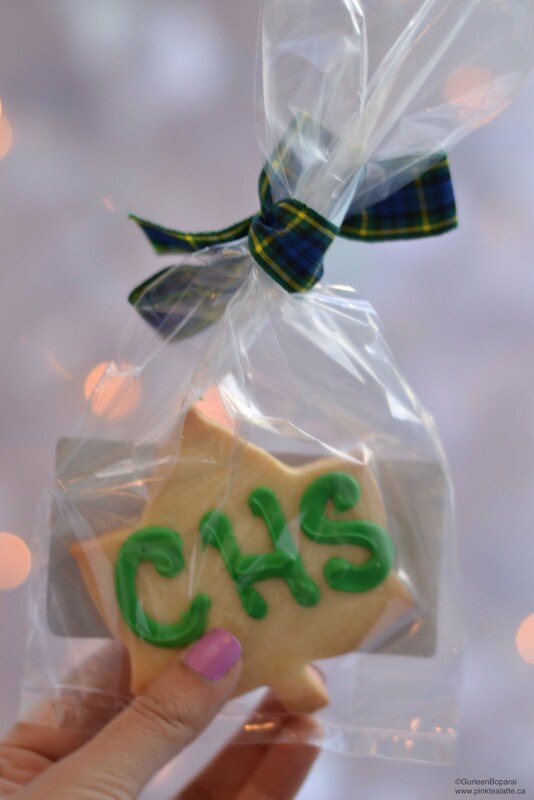 I got this cookie at my high school's alumni event. I went to Crofton House School. In the background was a white christmas tree with lights. Notice how my 50mm lens completely blurred out the tree and lights and kept the focus on the cookie? Really adds a beautiful effect to pictures! Love how the lights almost look like twinkles. Let me know in the comments below if you have any suggestions on buying a camera lens secondhand and if you think I went in the right direction of getting a 50mm? Really would love to hear what you have to say!